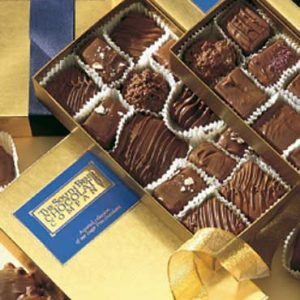 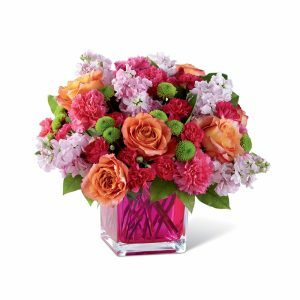 They always brighten your day and now it’s time to return the favor. 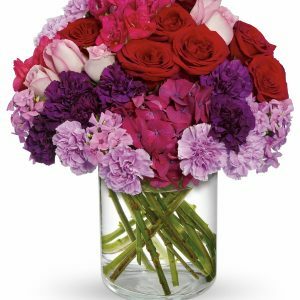 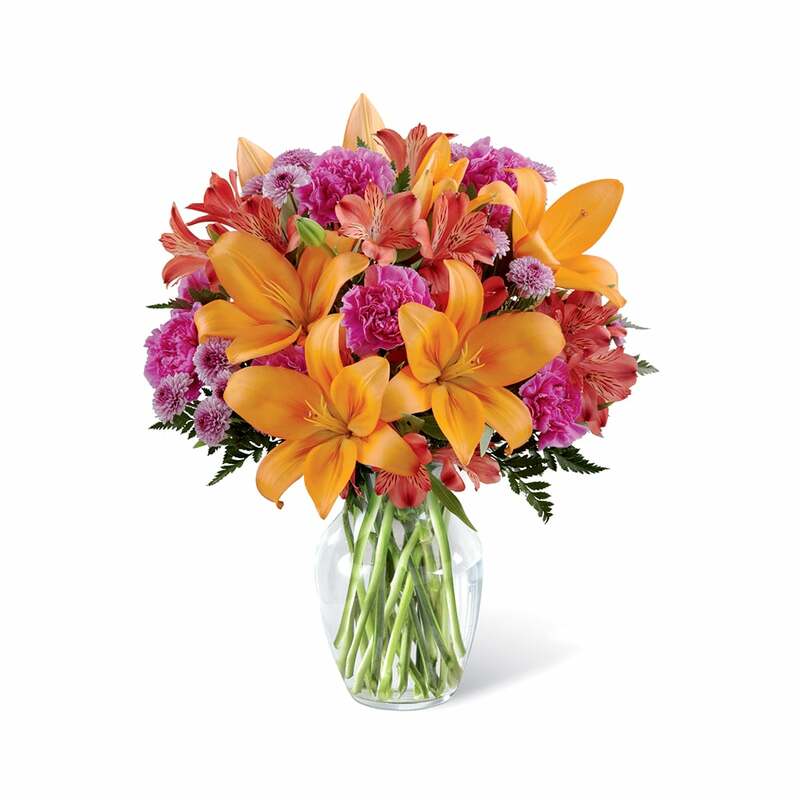 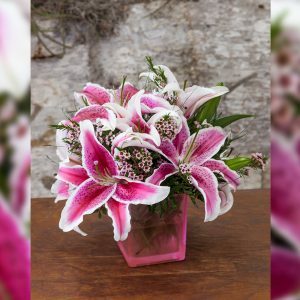 Send light and love with this gorgeous flower arrangement, bringing together orange Asiatic Lilies, fuchsia carnations, and red Peruvian Lilies, beautifully accented with lavender button poms and lush greens in a classic clear glass vase. 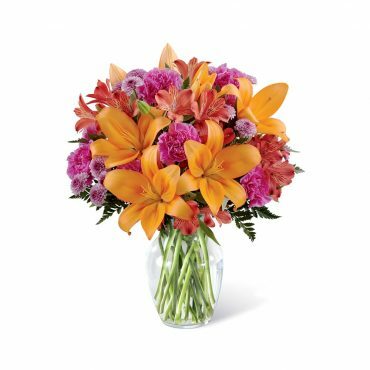 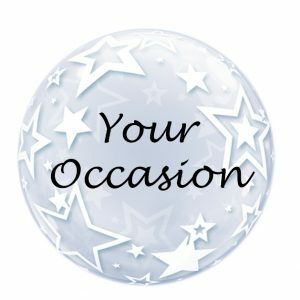 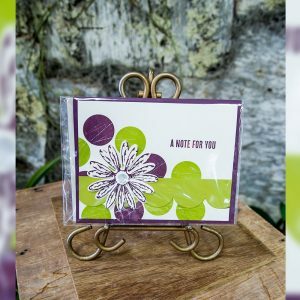 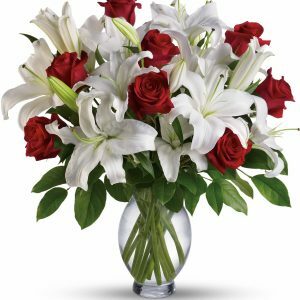 A warm and sunny way to express your appreciation for your recipient's place in your life, this flower bouquet is that perfect birthday, anniversary, or thank you gift!